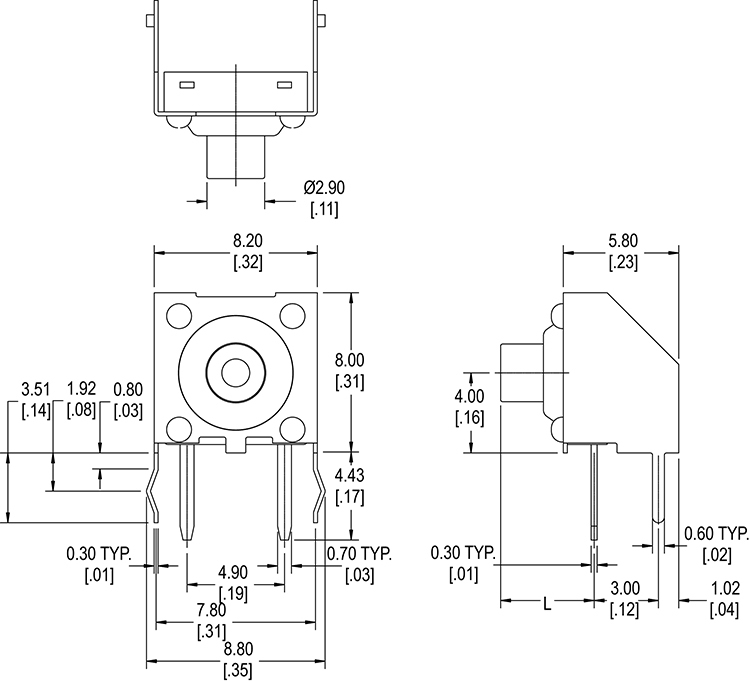 The dust proof STV Series right angle tactile switch for sale has through-hole termination with IP67 sealing degree. SPST and momentary, the STV offers a stainless steel contact dome and actuation force choices from 160gF up to 520gF. 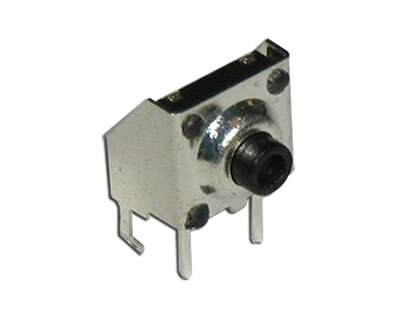 This tact switch features 0.45mm actuation travel with actuator length options of 4.35mm or 8.35mm.